Summer in Japan lasts from June to August. The heat can be extreme but the locals have devised ways to deal with the high temperatures. We introduce weather information, the best summer destinations, festivals, and tips on how to enjoy this season. Summer in Japan lasts from June to August and is usually a very hot season, with high humidity levels and daytime temperatures often going over the 30℃ value in the metropolitan areas. If you're planning a summer trip to Japan, it is strongly recommended to head to destinations located in the mountainside or in other cool areas with plenty of nature and shade. Nikko, Karuizawa, Hakone, Nagano's Hakuba area, Hokkaido, and areas in northern Japan are the best summer destinations. 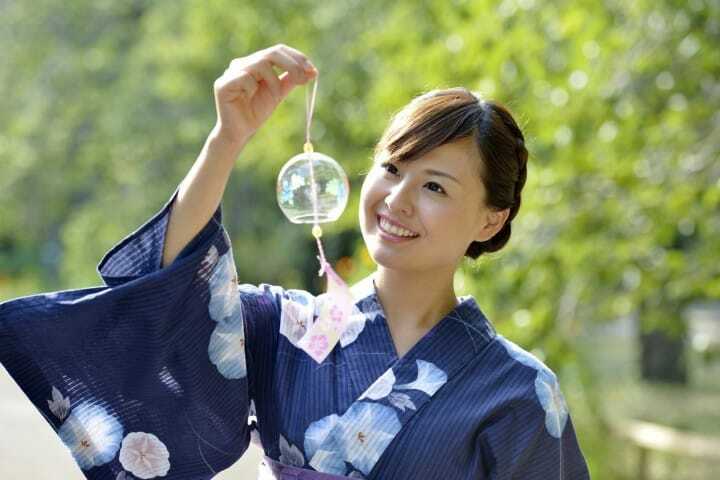 Summer in Japan is associated with lively festivals, fireworks, summer foods such as somen noodles and kagigori (shave ice), and yukatas (summer kimonos). In this article we introduce the features of summer weather in Japan, , recommended summer destinations and activities, along with tips on how to stay cool. Summer in Japan is hot and humid. The season usually begins in June and lasts through August. For visitors traveling from regions with more temperate weather, the heat and the humidity in Japan might be difficult to get used to, but with some planning and strategizing, it is possible to avoid the heat and discomfort. In late June, in addition to the heat, the humidity level is very high as well. The end of June to early July is known as tsuyu, or rainy season in Japan. It is a time of constant rain and even typhoons. During this time, the average daytime temperature in Tokyo is about 22℃, or 71.6℉, and average rainfall is 167.7 mm. Nevertheless, there are many activities and aspects of Japan's nature that can be enjoyed only in the rainy season, such as viewing the beautiful hydrangeas, the flowers of the rain. In recent years, summer temperatures have been particularly high, prompting news cautions for people to protect themselves from the heat to avoid heat-related illnesses such as heat strokes. On an average day in July, the temperature in Tokyo can reach highs of 35°C (95°F) in July and August. High humidity levels are also characteristic for Japanese summer weather, ranging from about 78% relative humidity to 83% relative humidity during July and August. Summer rains are also common, with intense and unpredictable bursts of sudden severe rainfall. It is recommended to carry around an umbrella at all times or have access to a potential shelter from the rain. Due to the danger of being affected by a heatstroke or heat illness, it is not recommended to spend long hours outside during the daytime. It is the best time of the year, though, to visit museums and indoor facilities in the metropolitan areas, or to travel to cool, mountainous areas. We introduce five of the best summer destinations in Japan further below in this article. July and August are extremely humid and hot, so visitors are recommended to wear thin short-sleeved shirts, one-piece dresses, and clothing with breathable fabric, like cotton. In areas with little shade, it is also advisable to wear a hat with a brim to protect against ultraviolet light and sunburn. It is important to note that when visiting Shinto shrines and Buddhist temples, you shouldn't wear sleeveless tops or clothing that reveals certain areas of the body. If you plan to make an excursion to a shrine or temple, bring along something to cover up your arms. In addition, indoor air-conditioning can make trains and shops feel cold in contrast to the outside heat, so it is also recommended to have a light jacket or a scarf at any time. Nikko is one of the most popular summer holiday destinations in Japan due to its rich, beautiful nature, history, and cool temperatures even during the hottest months. The city can be reached in about two hours by train from Tokyo. Nikko might be best known as the home of World Heritage sites such as Nikko Toshogu, Rinnoji Temple and Nikko Futarasan Shrine. However, ever since the Meiji Period (1868-1912) when Imperial villas and diplomatic summer residences were built here, Nikko has been the favorite summer resort for many people living in the Tokyo area and international visitors. Nikko is a mountainous area, offering stunning scenery. Chuzenji Lake, the Kegon Falls, or the Senjogahara Moor are just some of the spectacular places that are a must-visit. There are various types of hotels and ryokan (Japanese inns) in Nikko, with some of them boasting a history of over one hundred years such as Nikko Kanaya Hotel. The area is ideal for a relaxing summer vacation. Karuizawa, located in Nagano, will be the first place mentioned by a Japanese person when asked about the ideal summer destination. Located a high altitude and surrounded by lush forests, Karuizawa is considerably cooler than the metropolitan areas in summer. In addition to scenic nature spots, Karuizawa boasts excellent hot springs that can be enjoyed all around the year. One of the most famous hotels in Japan, HOSHINOYA Karuizawa is also located here, offering various activities that allow guests to fully enjoy the nature of the area. After a trip to Karuizawa, you'll feel refreshed, full of vigor, and relaxed, ready to deal with everyday life again. Hakone, in Kanagawa, is an excellent resort area for those who wish to enjoy nature, hot springs, and art. There are many art museums and galleries in the area, not to mention the artistically designed Japanese inns that welcome guests with the utmost hospitality. The forests and the mountains make Hakone considerably cooler than Tokyo. The best way to enjoy a summer holiday in Hakone is by visiting its excellent art museums, taking part in cruises on Lake Ashi, and enjoying hot springs and delicious local food. Hokkaido, the northernmost prefecture of Japan, is ideal for a summer trip. In addition to the splendid nature that one can experience in Furano, Biei or Akan, Hokkaido also boasts beautiful urban areas such as Sapporo, Hakodate or Asahikawa. Hakodate, for instance, has a long history as a port city. Many buildings with architecture that is rarely seen in Japan can be found here. The city's nightscape has even ranked first as the most beautiful nightview in Japan. Summer is the season when the world-famous lavender fields of Tomita Farm are in bloom. Check the article below for information on access and other points of interest in Hokkaido. Hakuba, in Nagano, might be best known as one of the major ski resorts in the Japanese Alps. However, during summer, it is a cool, lush green paradise with splendid views of the alpine peaks. Summer in Hakuba is known as the green season and many domestic and international travelers travel here to enjoy a wide range of outdoor activities. The area has a rich flora, with rare plants and flowers that are specific to the Alps. Glamping (luxurious camping) is an increasingly popular activity in Hakuba. If you wish to enjoy a leisurely stay in the heart of nature, Hakuba might be the best choice. The swimming season in Japan usually starts at the end of June and lasts through August. The best beaches near Tokyo can be found in Kanagawa and Chiba, while some of the most beautiful beaches in Japan are found in Okinawa. Because of the extremely high summer temperatures in recent years, we recommend caution when spending long hours at the beach. Please make sure you rest under a beach parasol and drink a large quantity of water. The best way to enjoy Japan's beaches in the summer is by visiting them early in the morning, when the air is still relatively cool, or at dusk. The sunsets in places like Zushi, Enoshima or Hayama are extremely beautiful. Firework festivals, also known as hanabi, are commonly held in Japan during July and August. Japanese fireworks are famous all over the world and a part of the festival culture in Japan. Festival visitors can also enjoy an array of iconic Japanese festival food sold at stalls. Many people at these festivals will wear yukata or jinbei, a wrap-around top and shorts with a similar style to a yukata. The Sumida River Fireworks Festival in Tokyo is particularly famous and attracts a large audience each year. In the Kansai region, the Nagahama Kita-Biwako Fireworks Festival is another famous option. Picture from Feel The North's Summer Heat At The 2017 Aomori Nebuta Festival! In addition to festivals with fireworks displays, there are numerous local festivals that feature displays of beautifully-designed festival floats and traditional performances. The best known festivals include Kyoto's Gion Festival in mid-July, the Tenjin Festival in Osaka held in late July, and the Nebuta Festival in the Tohoku region during the beginning of August. Summer events celebrated throughout Japan include the Tanabata festival on July 7, and the Obon Festival honoring ancestors and people who has passed away, which occurs in the second week of August. At each of these festivals, visitors can also try delicious traditional festival food and beverages, and wear traditional clothes such as yukata and jinbei. Due to the intense heat in the summer, Japanese cuisine during this season centers around chilled dishes utilizing fresh ingredients. Japan is well-known for its delicious kakigori, or shave ice, which is crushed ice flavored with sweet syrup or condensed milk. Kakigori is easy to find during the summer month, as is sold at festivals and appears on the menu of many restaurants. Other common sweet treats are seasonal fruits, including watermelon, peaches, and cherries. Chilled noodle dishes are also essential during the summer. Well-known dishes include zaru soba , buckwheat noodles that are served cold with a light broth, and chilled somen, or thin wheat noodles, which come with fresh toppings and a cold dipping broth. Both meals are delicious, light, and suitable for the summer time. Outdoor beer gardens are also held during the summer throughout Japan and are well-attended. Pricing and plans vary by location, but visitors usually pay a fixed fee for an all-you-can-drink plan within a certain time limit. Depending on the plan, food is also included and usually consists of food that is easy to eat, including edamame, french fries, and meat dishes. Picture from Kyoto's Kibune Katsura: Enjoy Great Meals At This Cool Summer Oasis! In addition to beer gardens, kawadoko, or outdoor patio seating built over a river bed, are offered by certain restaurants in Japan during the summer as well. The types of cuisine at these restaurants range from Japanese over Italian to American-style food. Customers dining on the kawadoko can relax with the cool mist rising from the river while enjoying dining on delicious food. Kyoto is particularly well-known for its kawadoko. Traveling in Japan during the summer is a great opportunity to experience the Japanese culture related to this season such as fireworks, festivals, and delicious food. While the heat and the weather conditions during this time of the year require paying more attention to physical well-being, summertime is a special season in Japan that can be truly enjoyable. How To Enjoy Japan's Summer Fireworks To The Fullest!